While any retailers can sell beverages, truly successful retailers know the value of strategic space management and profitable sales oriented coolers sets. At Bernick's, our team includes highly trained, experienced team members who use specialized software to create new, profit focused plans for our customer's coolers. Because no two retailers are alike, we deliver unique, site-based solutions that take into account factors like location, sales patterns, current trends and future product placement. We don't just help design innovative, high conversion cooler sets; we guide our customers through every step of the beverage space management process. One of our Bernick's account reps will visit your retail location and take detailed photos of the current product layout. These photos will then be studied and used by our cooler set specialists to redesign a profit oriented plan that focuses on both current sales and future product placement, since new beverages are driving growth in the marketplace. Once the retailer approves this new, computer designed cooler set our account reps seek approval and cooperation from all wholesalers. We then get to work coordinating a cooler reset team to empty the shelves, reconfigure the units, restock the shelves, print and confirm the shelf tags, etc. So why do we go to such great lengths to help our retailers plan where to stock their inventory of beer, flavored malt beverages and ciders? Since there are more and more options available to the consumer, it is important that there is a strategy in place to help a retailer focus on selling their most profitable products. But, that's only if customers can actually find the product they're looking for! Nearly one-third of all customers will walk out of a store empty handed if they can't quickly find the beverage they're looking for and that's why Bernick's is so passionate about helping our customers retain those potentially lost sales through evidence based cooler set planning and strategic space management. Cooler space is premium retail real estate. As a premier wholesaler of malt based alcoholic beverages, we're constantly monitoring market trends, in-store merchandising strategies and the relationship between product placement and profits. We employ an integrative brand and segment placement strategy with our cooler sets, because boosting beverage sales starts with making sure consumers can quickly find the products that they are looking for. Successful store sales hinge on the success of the cooler, because consumers who can't find the beverage they want are unlikely to make other purchases as well. A retailer can achieve a competitive advantage by developing a reputation as the ‘go to’ retailer for new and limited release products. Our cooler set plans ensure that layouts are future friendly, making it easy for retailers to quickly integrate new products. 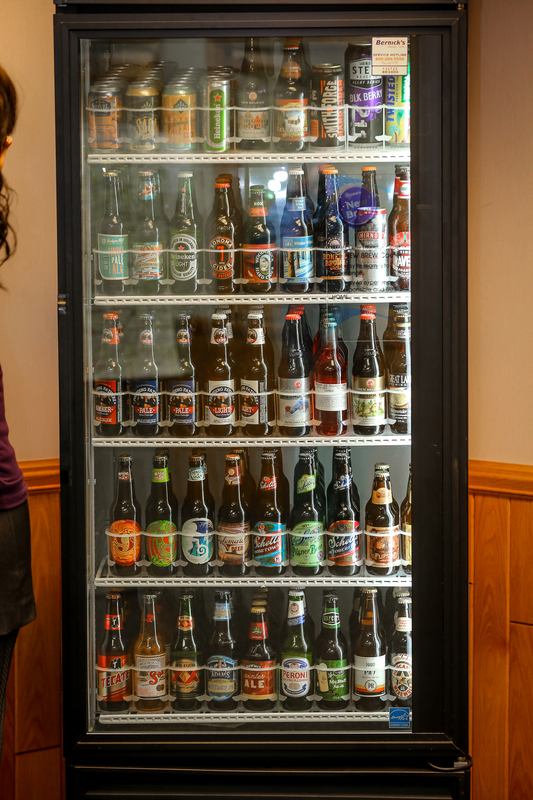 Want more info on how smart space management can boost beverage sales? Our experienced team of pros can provide real world solutions to all retailers. Talk with a Bernick's Rep today to learn more about how we can help you boost your profits.